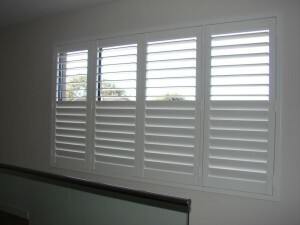 Riverside Shutter design featured job of the month for Villa. 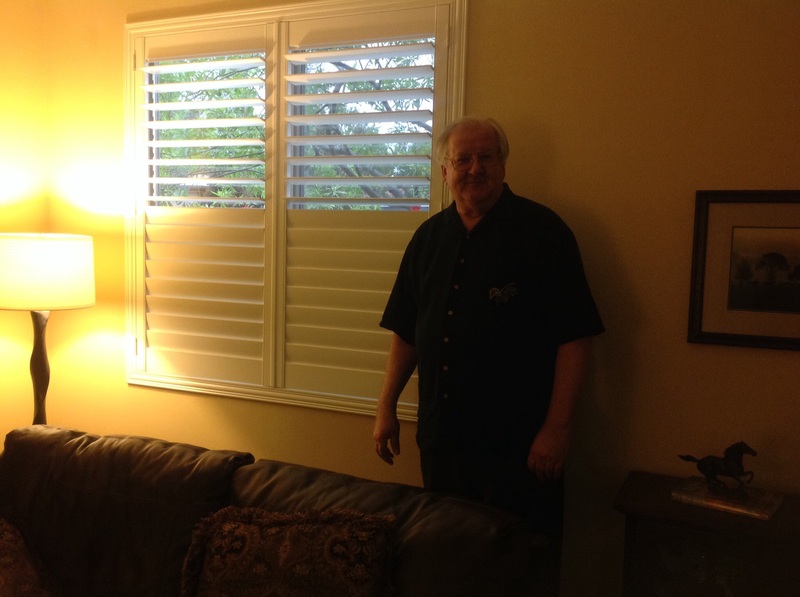 This week we installed 34 shutters for Raymond and his wife in their brand new home in Riverside. 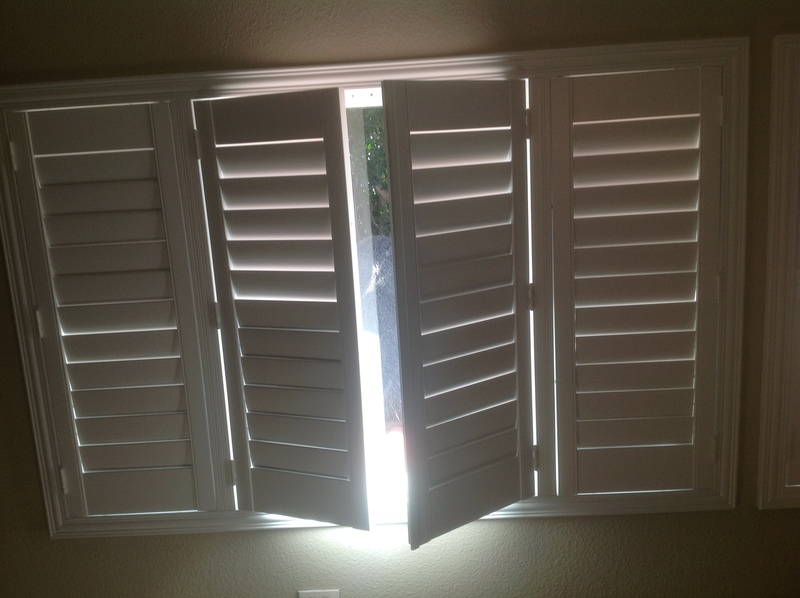 They have the same size window throughout the house. 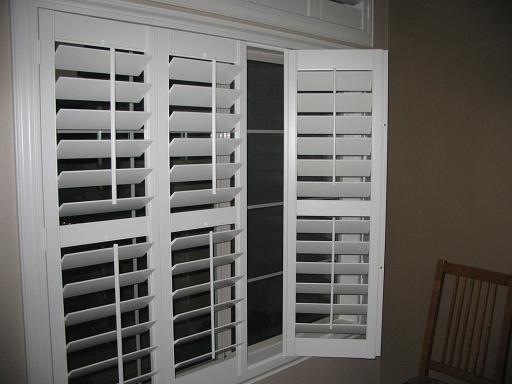 For a 35″by 58″ windows ( Picture 1 and 2) we recommend the use of a single panel with split hidden tilt. 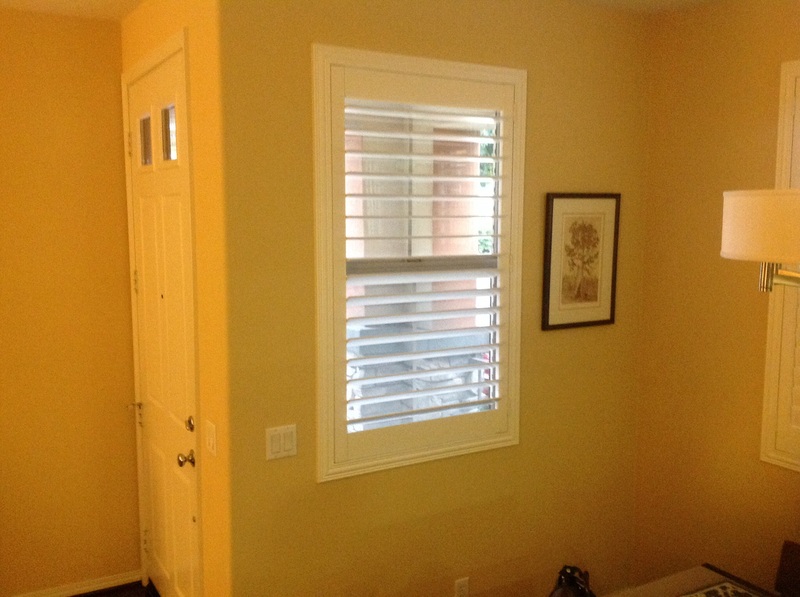 Picture 3 shows use of Divider Rail, which is recommended on Single Hung Windows. 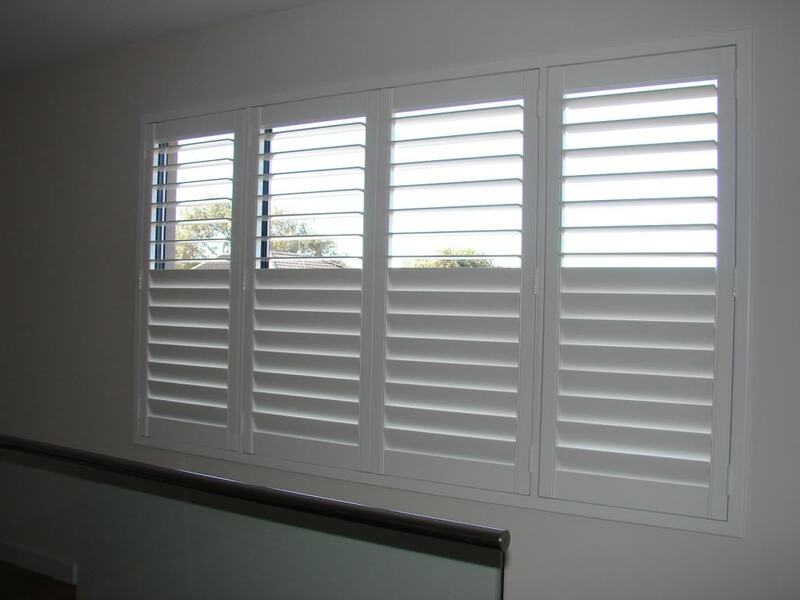 In Picture 4 we show a Bi-Pass Shutter used for Patio Doors, here we recommend getting the Bi-pass open system to allow you to open the louvers even if one side is slid over the other. 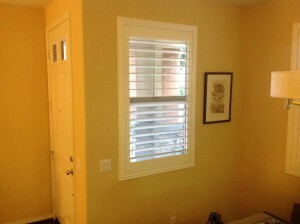 In Picture 5 and 6 we show you two choices for 8 ft wide windows. 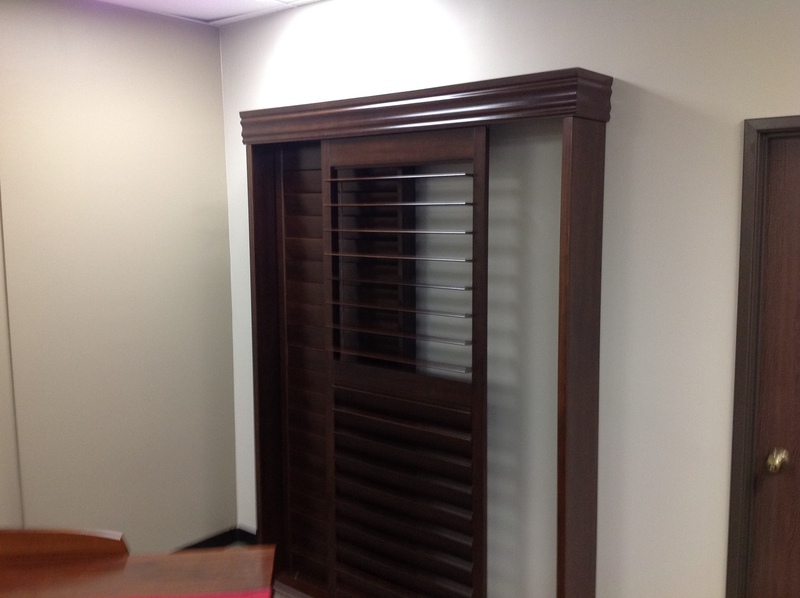 I often recommend the design in #5, it shows the use of a T Post, which allow the inside panels to open individually. The other choice (Picture 6) is to hinge two panels together and open together to the left, and two to the right, called a LLRR. 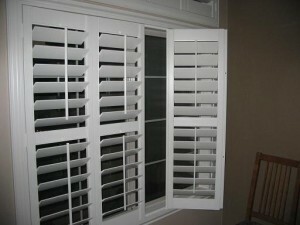 Villa offers Free in home estimates, but more importantly we off our experience in shutter design. 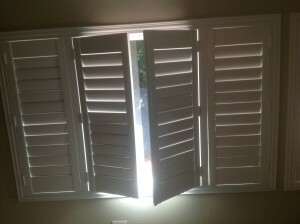 So learn the tips from the pros. 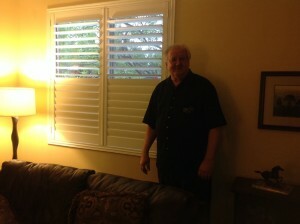 We have great pricing, service and customer satisfaction. We guarantee it!